Located on a former farm in Snyder County, Pennsylvania just west of Selinsgrove; join us in our efforts to preserve agricultural artifacts and educate the public about farming and rural lifestyles of bygone days. Shows are held on our 43 acre gently sloped grassed show grounds. Our shows feature exhibits and demonstrations of numerous antique equipment items from rural Pennsylvania as well as many flea market and craft items and food vendors ranging from kettle cooked potato chips, kettle cooked ham pot pie, french fries, hot dogs, hamburgers, cheeseburgers, fish sandwiches, chicken fingers, ice cream, funnel cakes, hot sausage, cheese steaks, barbeque chicken (all three days), breakfasts each morning and all kinds of drinks including hot chocolate, coffee, water, ice tea and all kinds of soft drinks, plus much more! No alcoholic beverages or illicit drugs may be brought onto or consumed on the grounds at any time! All pets should remain on a leash during shows and other events held on the grounds. Pets are not allowed in the food building at any time (except service dogs). Check out the 18th Annual Fall Show Demonstrations and Entertainment featured at our Fall 2014 Show. Kids pedal tractor pulls, Threshing demostrations and Baling demonstrations. For schedule of these events and our regular show events, please visit the Events page. Free Admission, Free Parking, Free Entertainment, Free Camping and Free Fun for all! Members and collectors of antique farm machinery (especially tractors) are invited to bring and exhibit their collectibles at both our spring and fall shows. 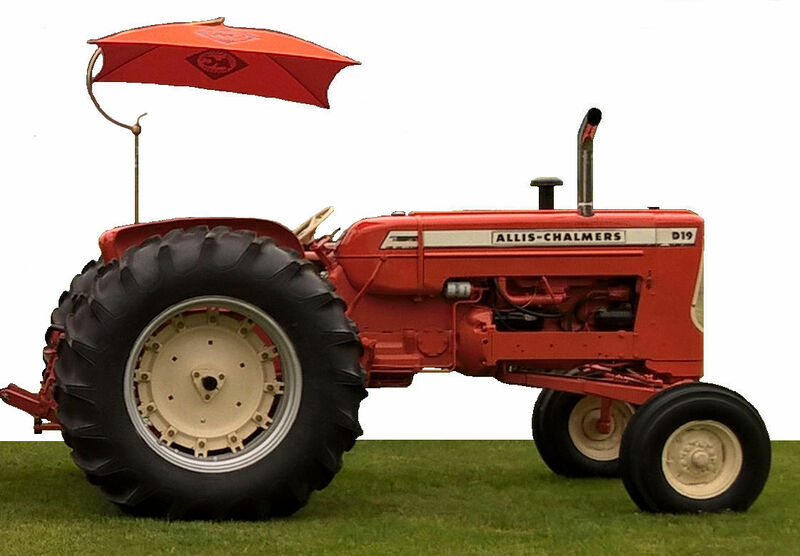 While the 2019 shows feature tractors from Allis Chalmers and Hit & Miss engines from Hercules, exhibitors are encouraged to exhibit any antique farm machinery and equipment of other makes. For more general information about the Middlecreek Valley Antique Association, please call: (570) 837-0156. Our shows feature all of the following: Antique sawmill demonstrations, Shingle making, Antique stone crushing, Machinery demonstrations, Antique tractor and machinery parades, Antique and Stock tractor pulls, Flea market, crafts and antique dealers, Gas and steam engines and Farm, utility and garden tractors. Visitors, for additional information about travel directions, accommodations and other local attractions click on the link below to the Susquehanna River Valley Visitors Bureau or call them at 1-800-525-7320, where "Every Turns a Treasure."